Did a law get passed while we weren't looking? It seems like ever since he's taken office, every video game released is required to have its own zombie apocalypse. Even in games that aren't horror stories, an outbreak of the living dead must occur, and only your trusty bullets can save you…ever get the feeling that so many zombie games just simply miss the point? State of Decay doesn't want you to think so. Collecting food, finding scraps and ammo to defend your base, interacting with fellow survivors, and most importantly, avoiding the undead at all costs! This isn't the time to shoot your way through them! This isn't a game about vast zombie murder. If you were to ever land in a real zombie apocalypse, this is a much more realistic comparison to what true survival might be like. Check out this video where a man must get to the contents of a house surrounded by ghouls. His base is obviously desperate for materials, so he uses his wits to distract the zombies, luring them for away from the house door with simple fireworks rather than wasting precious bullets just to finally get…more bullets. There are lots of zombie games out there these days, but this one is the most intriguing at the moment. True open world survival and scavenging to beat the elements and undead back. How to win doesn't matter, just simply surviving into the next day should be higher on your priority list. 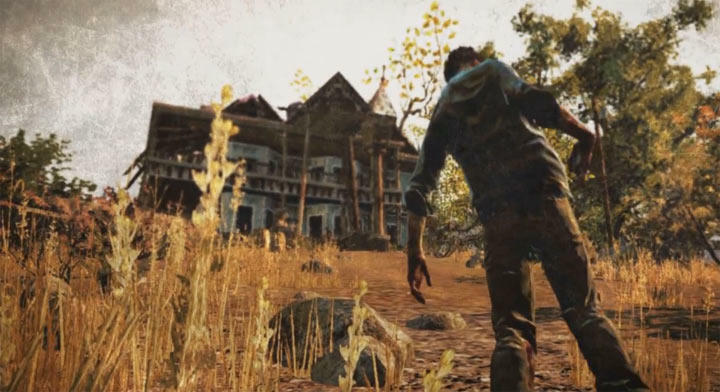 State of Decay began life as an MMO before jumping to consoles and being stripped of its massive components. It is scheduled to be released some time next year on the PC and Xbox Live, but nobody has confirmed a window or a date.